The fatal shooting of Oscar Grant, an unarmed African American man, by a former transit police officer became the basis for Ryan Coogler’s FRUITVALE STATION (2013) — and the fuel for Angie Thomas’s New York Times bestseller, “The Hate U Give” (2017). “What would happen if that took place in my neighborhood? How would we react?” Thomas asked herself as similar cases continued to happen across the country. She turned to writing as a form of activism, in hopes of helping people understand how the black community feels and giving young people a voice when these tragedies happen. 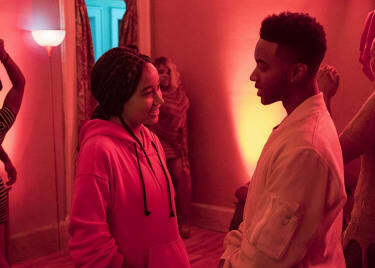 Tonight, THE HATE U GIVE, directed by George Tillman Jr., will bring Thomas’s vision to life on the big screen. 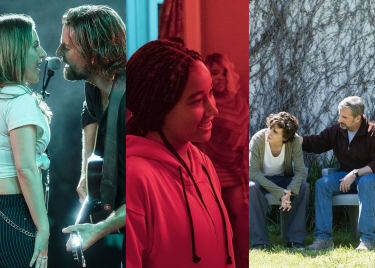 AMC spoke with Tillman, star Amandla Stenberg and other cast members at the film’s world premiere at the Toronto International Film Festival. Hear what they had to say about the still-topical story. 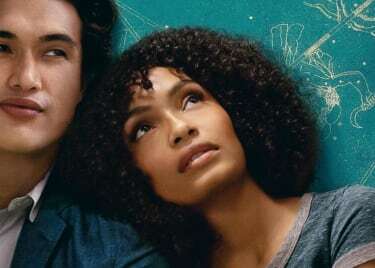 She balances this double life, code-switching to blend into the environment, until it’s impossible — until she witnesses her childhood best friend, Khalil (Algee Smith), get shot by a police officer who mistakes Khalil’s hairbrush for a gun. Khalil’s death becomes national news, some calling him a “thug” and possible drug dealer. Protesters take to the streets in his honor, and now Starr, the only witness, must decide to stay quiet or speak up. Both choices will have consequences — not only for her and her family, but possibly the entire neighborhood. Audiences will experience a range of emotions while watching the film, from frustration to anger to sadness, but underneath the turmoil, there is a powerful, inspiring message. And hope. 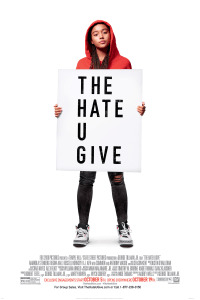 Don’t miss THE HATE U GIVE at AMC this weekend. Get your tickets today.